This is my wrap-up for the 2016 National and what I brought back with me. It's not all in the binders yet, but some things take time. Girlfriend: "That's kind of a lot of cards." This National exceeded my somewhat low expectations for Atlantic City as a venue, providing both lots of vintage material to review and quite a few friends from OldBaseball.com to hang out with. Back in 2008, mired in a poor economy, AC's last National felt hollow. Suffering from reduced walk-up visitors and limited live events, its cathedral-like convention center often felt more like a dealer-to-dealer social club. This time, a wider spread of fans and sellers made the trip from all points of the map and kicked up the experience several notches. It's not quite as good as Chicago, which remains the easiest show for most of the hobby to reach, but enough about logistics, let's play ball. Before the show, I wrote about my 5 goals for Atlantic City. Other than log over 12,000 steps per day, how'd I do? So-so on this, hitting my list just three times. Red Hearts were findable on the floor, but rarely in low-grade. Red Heart's one of those sets whose in-hand attractiveness seems to keep show pricing higher than eBay. Still need eight for this one. Thanks to a mix of friends and table finds, I knocked this set to one, #320 Whitey Ford, and plucked a VGEX off eBay for $10 soon after. Call this goal "achieved." Limited luck finding anything for low grade prices ($2-3) except Indian Gum and a couple of Sky Birds, so hoping for better next year. You can always find non-sport dealers at the National, but I didn't locate any significant deals this time around. Fortunately, a couple of trading friends passed along bilingual singles, because the show was a goose egg otherwise for affordable French singles. Zut alors. Baseball comprises 99% of my type set, but I make some vintage exceptions and this is one I've been tracking for some time. When you see Varsity Football cards in the case, this is the side they show. All the pennants make for an interesting frame and it says SPORT KINGS in big, friendly letters. You can forgive a dealer for not caring about showing the text-heavy "game piece" side, so I asked directly. Me: "Can you check the number for this Varsity football card? I need a specific number." Dealer: "Oh, there's a number?" (He picks up card, looks at the back, and holds it up without flipping it over.) "What number do you want it to be?" Me: "I want it to be #5." Dealer: "OK." (Long pause) "Well, it is #5. How did you do that?" Me: "If I could do that every time, I would!" So why was I excited about Sport Kings Varsity Football? 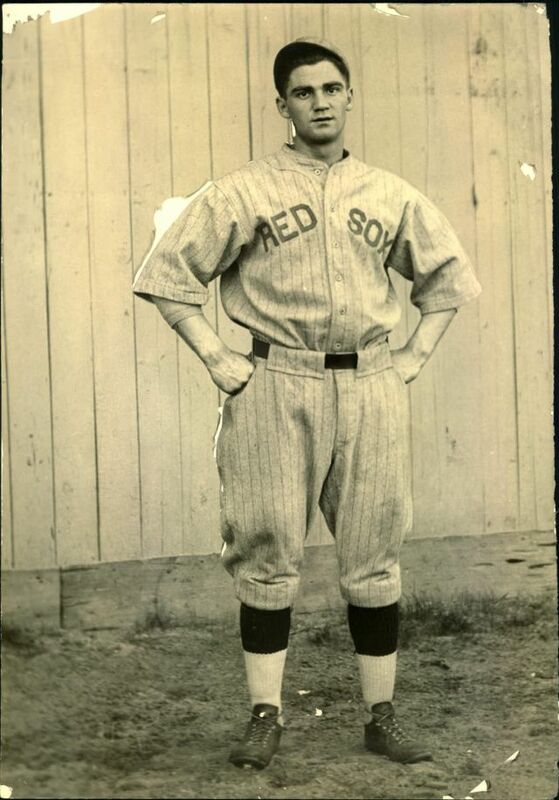 Unlike the ample online love for Goudey's seminal 1933 baseball set, this piece of their history left few traces. Back in 1934, collectors picked up this flipping game from candy counters, but not from inside packs. It used the same kind of customer loyalty promo still evident at this year's National, where card makers offered walk-up, in-person bonuses to those who bought their packs on-site. 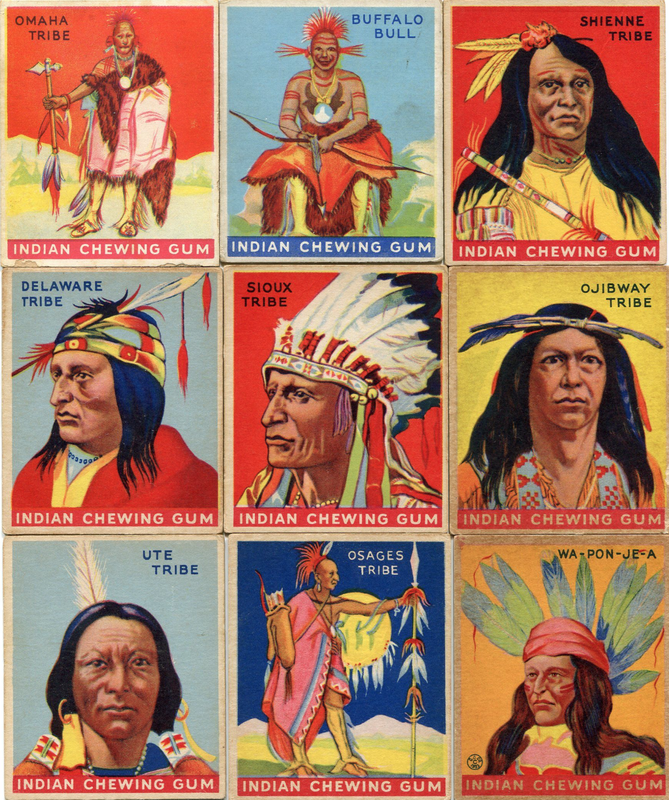 Here's the guide Goudey included in their Sport Kings Gum deliveries. 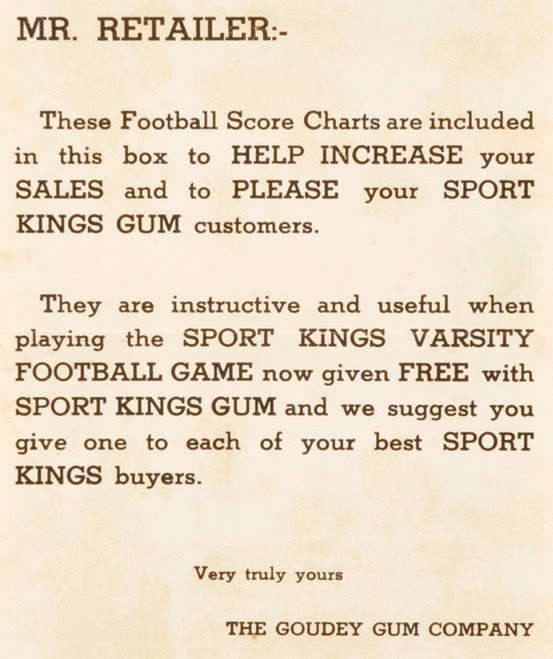 In other words, 1930s shop owners gave Sport Kings customers these Varsity game cards and a game board to flip them on. (More details in my Varsity Football set post.) No known Football Score Charts survive today, so we don't know quite what they looked like, other than "probably something like a football field." 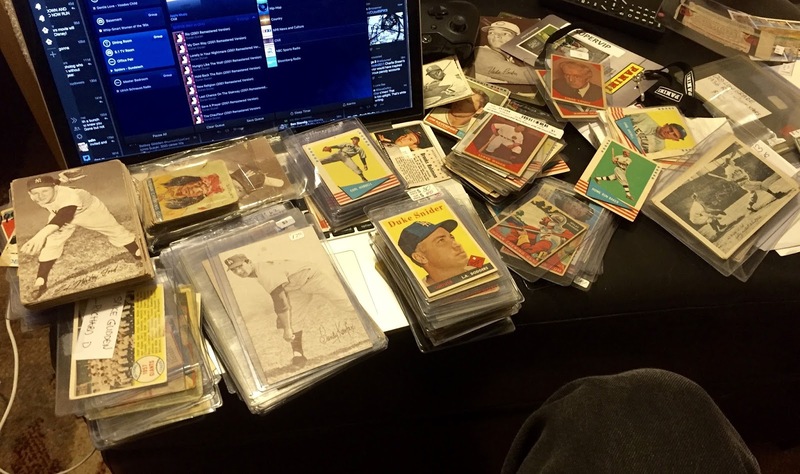 In general, I spend Nationals shopping at tables of ungraded vintage. After two days walking the floor, I located 50 such dealers, which meant plenty to flip through and buy. About 300 new cards came home with me and I (finally) started work on the 1960, 1961, and 1963 Fleer sets, three significant parts of the hobby's competitive landscape. 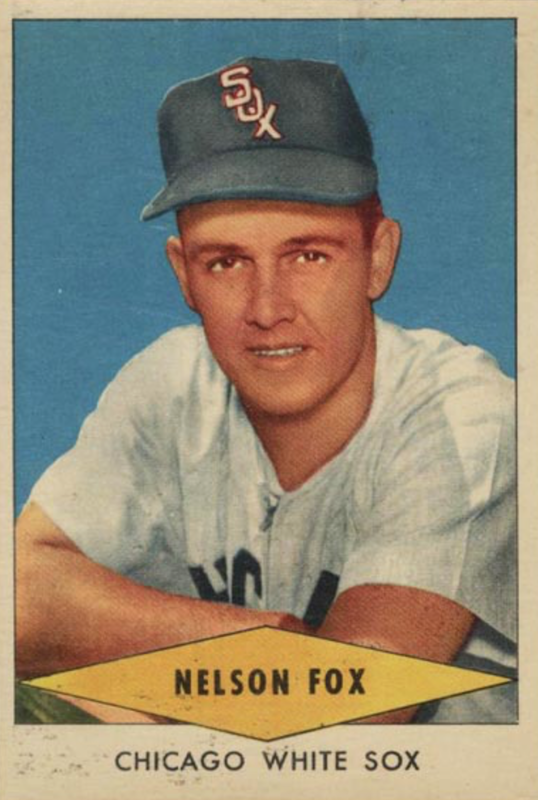 While 1960-61 stuck to retired players, their 1963 set challenged Topps directly by printing active Major Leaguers, including the not-in-Topps defending NL MVP. 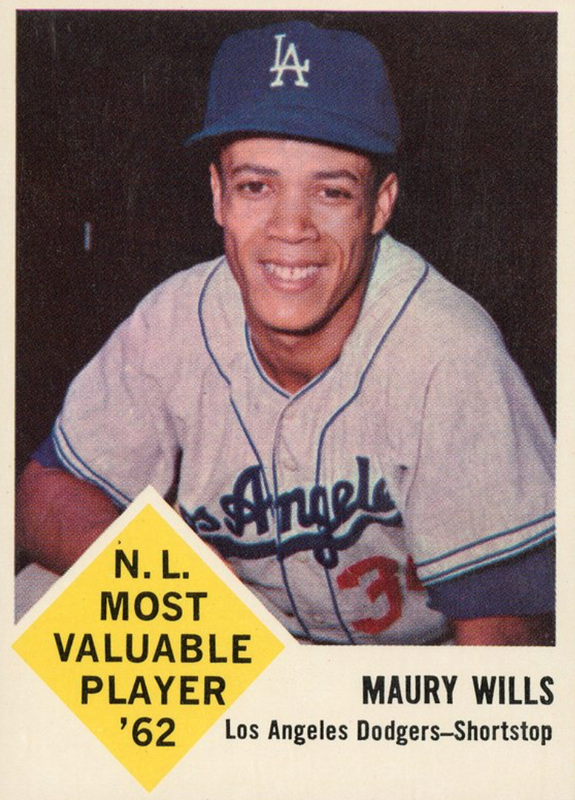 Many consider this Maury's Rookie Card, since Topps infamously didn't sign him to a $5 card contract in 1959. 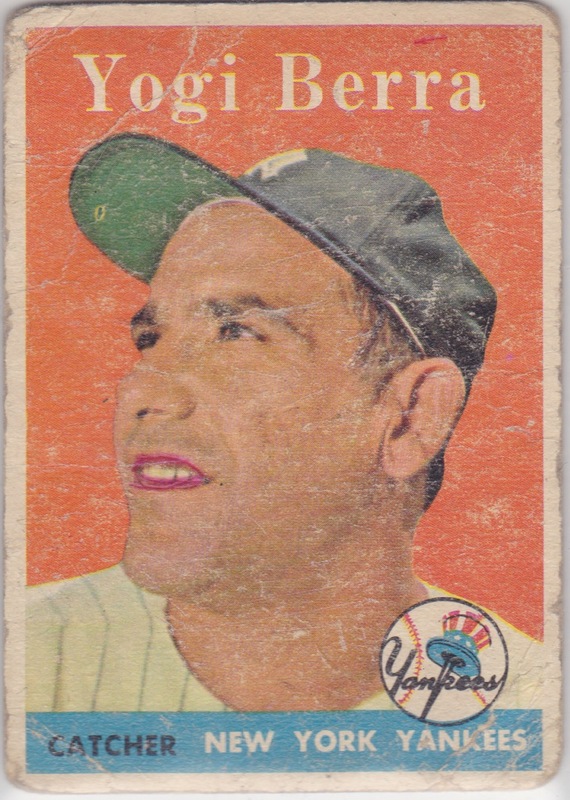 Their 1963 release saw Topps take Fleer to court, get an injunction on any remaining plans to publish cards of active players, and affirm an exclusive MLB license that persisted until 1981 and once again exists today. Oh yeah, Topps hosted a custom card booth! 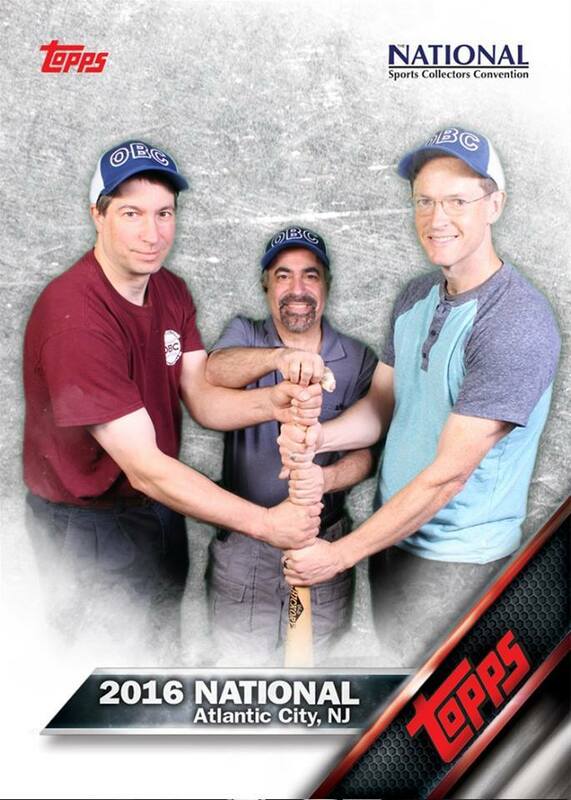 Here's me goofing with OldBaseball.com friends Ken and Sal. 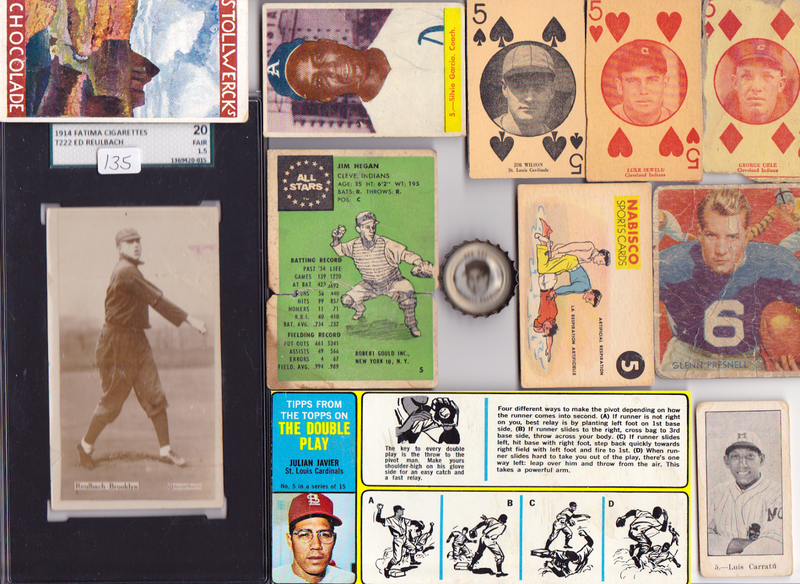 The 2016 National Sport Collectors Convention runs this week from Wednesday to Sunday and I'm looking forward to all its pomp and cardboard circumstance. I'm not necessarily looking forward to traveling to Atlantic City for the National, but you have to go where the cards are. TRIVIA: Speaking of Atlantic City, no native has played a game in the bigs since Joe Cicero hit .158 in 1945. AC is overdue. Spending four days at the National makes me card-hungry and I have a handful of goals in mind this time around. I'm 2/3 through this cherry vintage set and already have the big names, Mantle and Musial. 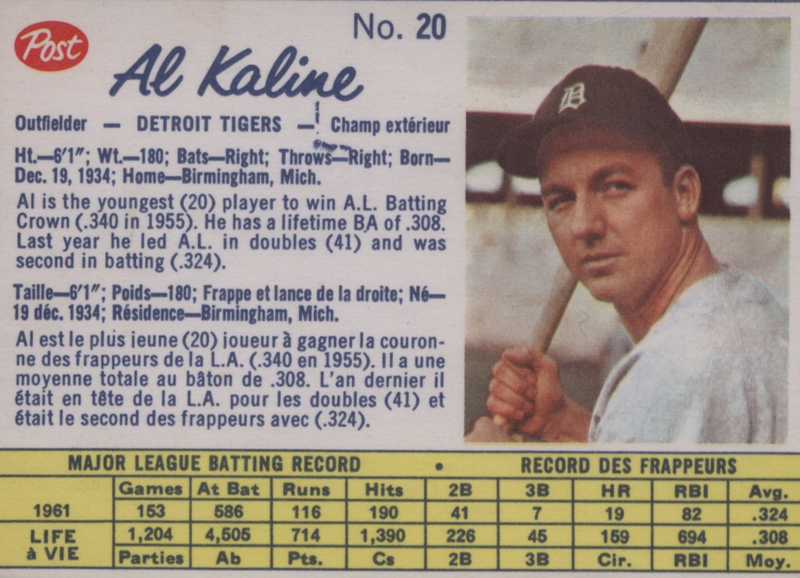 It's a reasonable goal to find 5 from the remaining list of Fox, Pierce, Fondy, Gilliam, Kell, Lollar, Baumholtz, Erskine, Kiner, and Shoendienst. I need just 8 upgrades to finish taking this set from P-FR to G-VG. 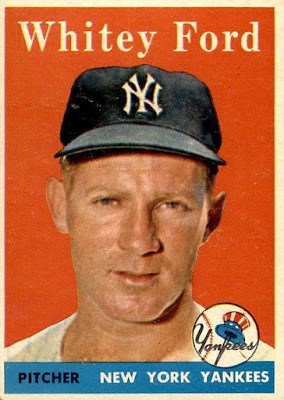 There are big names in the list: #19 (Giants team), 88 (Snider), 150 (Mantle), 168, 288 (Killebrew), 315, 320 Ford, 475. 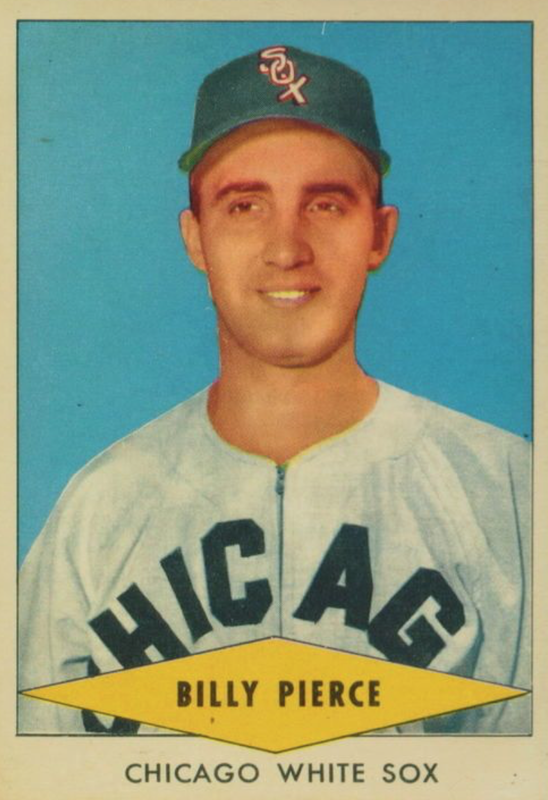 That's a challenging list on the surface, but 1958s aren't too tough in G-VG. 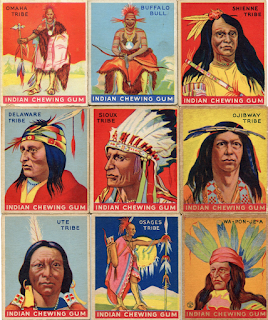 For all their success with 1933-34 baseball cards, Goudey spent just as much effort on an array of 1930s non-sports sets like Boy Scouts and Indian Gum. 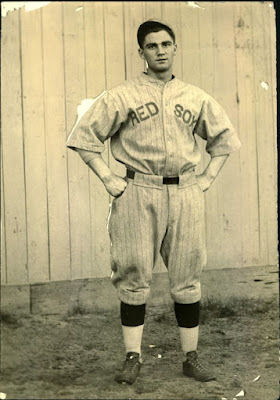 This week, I hope to find a variety of low-cost options, although you can imagine that high-quality work (like the scouting set) makes for higher-demand sets. 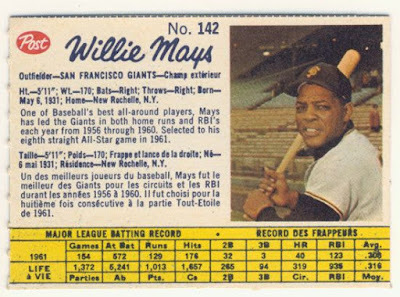 While my American-made 1962 Post baseball set's done, there's a lot of remaining wantlist for the bilingual Post Canadian set. Sometimes they take forever to ferret out and sometimes you meet a dealer from Toronto in the first row and he has a boxful. Hoping for the latter. There's no way to predict exactly what #5s will appear, especially if they're from foreign sets or are uncatalogued. One big reason I go to Nationals is to expose myself to as much cardboard as possible in hopes of netting a white whale. A scan above shows all the types I found last year, three of which weren't even on the list before I spotted them. This year, who knows! Anyone else making the trip to AC this week? If so, comment below or tweet me @Number5TypeCard and will be happy to meet up.